The Organic Chair - a small and comfortable reading chair - was developed by Charles Eames and Eero Saarinen in several versions for the 1940 'Organic Design in Home Furnishings' competition organised by the Museum of Modern Art in New York. Polyurethane foam with fabric cover. With its sculptural shapes, the design was ahead of the times. But due to the absence of suitable manufacturing techniques, the armchair never went into production, at least not until 1950. 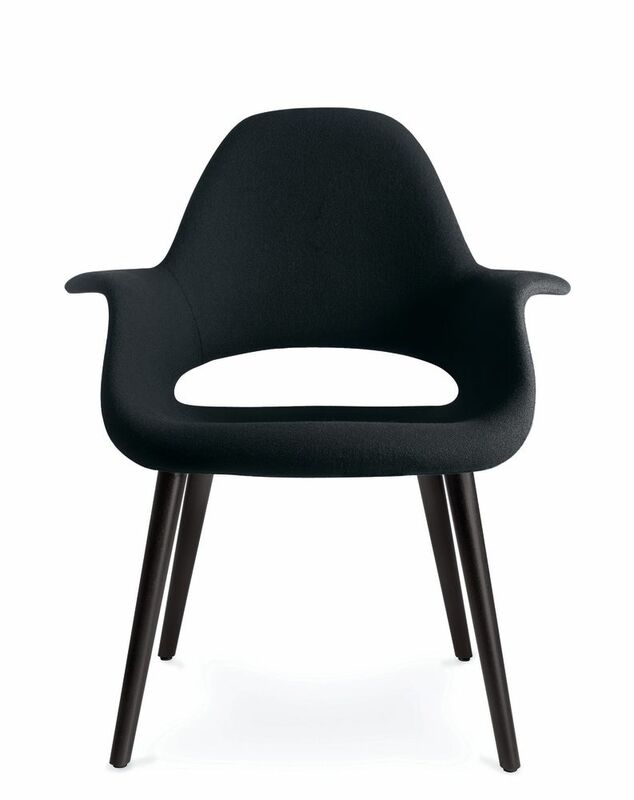 Then it become possible to manufacture and market organically shaped seat shells in large quantities, as exemplified by Charles and Ray Eamess famous Plastic Armchair or Saarinens Tulip Chair. The Organic Chair is also available in a version with an extended backrest and longer, wider armrests - the Organic Highback armchair. The Organic Conference version can be used as table seating. Fitted with plastic glides for carpet, felt glides for hard floors additionally included.